Potential candidates are at least 18 years of age, have stable vision for at least 12 months, have healthy eyes, and have realistic expectations. 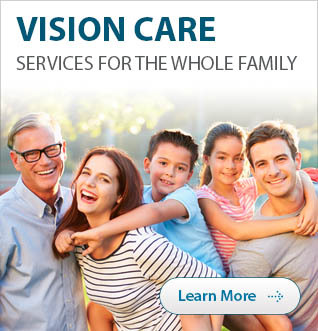 Will I still need glasses after laser vision correction? Most patients don’t need glasses for their daily activities. However, patients who are over the age of 40 may still need to wear reading glasses because of the normal aging process of the eye. Qualified patients may opt for monovision laser vision correction, which can lessen dependence on reading glasses as well. You will speak with our doctors at your consultation to determine what’s right for you. Your eyes will be numbed with eye drops prior to the procedure, and you will be given a mild sedative to help you relax. Some patients do experience mild discomfort during the first 12-24 hours, but this is typically just a minor scratchy sensation. With PRK and LASEK, patients may experience a scratchy sensation for slightly longer during the recovery period. You can return to most of your usual activities, like working, driving, and exercising 1 day after surgery. Swimming and other contact sports should be delayed for at least two weeks. Over the course of a lifetime, the average glasses or contact lens wearers spend thousands and thousands on new frames and lenses, prescription sunglasses, contacts, cleaners and solutions. Having laser vision correction eliminates that cost, and most patients say it easily pays for itself, not to mention the freedom and better quality of life. We offer a number of payment plans and financing options to make having laser vision correction affordable for just about any budget. If you have an FSA (Flexible Spending Account), this can be used for additional tax savings. At See It Clearly we offer a FREE Laser Vision Correction Consultation, with the actual surgeon to determine if you’re a good candidate for laser vision correction!